A step-by-step video program that shows you what and how to practice every day to improve the most important aspects of your saxophone playing. In the same way that athletes spend a significant portion of their training time on stretching or general physical conditioning musicians must likewise devote time to warming up and musical fundamentals daily. In addition to giving you the most effective warm-up exercises and explicit instructions on how to get the most out of them, I've also included video playlists, which give you variations of practice routines lasting 10, 20 or 30 minutes. 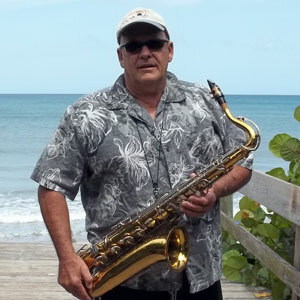 You should begin by watching these free videos and by signing up for my free Play Sax by Ear Crash Course. Once you have completed that material, you you will be ready to for my Core Essentials Program. No. Core Essentials is not available on DVD. 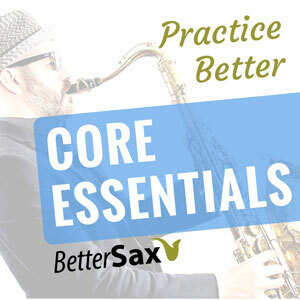 No, Core Essentials is for all saxophones. There are demonstration videos performed on both alto and tenor. Everything can be played on any saxophone. The sound section of Core Essentials is specific to the saxophone or at least other woodwind instruments. The technique section covers exercises that can be played and benefited from on any instrument.